Swatch Group CEO Nick Hayek has confirmed his company is working on a better battery, one that will help smartwatches last up to half a year. In an interview with a Swiss newspaper, Hayek divulged his company is working on a "revolutionary battery" for a new line of smartwatches due out in 2016. The watches' biggest selling point may be a 6-month battery life. "Whoever brings a battery for a smartwatch to the market that you don't need to charge for six months has a competitive advantage," Hayek said, as reported by Reuters. "We're working intensively on this problem with our research group Belenos and battery producer Renata." The executive also revealed the battery will also one day be applicable for use in cars. 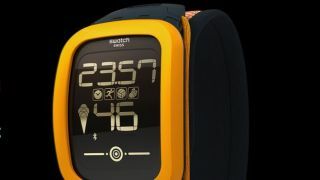 Swatch forayed into the smartwatch space with the Touch Zero One, a device geared towards beach volleyball players. The issue of battery life has been a thorn in the side of every company in the smartwatch field. The recently released Apple Watch has a billed battery life of 18 hours, while the Moto 360 barely lasted a few hours during a recent TechRadar test.